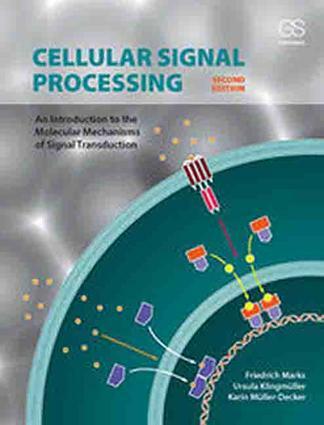 Cellular Signal Processing offers a unifying view of cell signaling based on the concept that protein interactions act as sophisticated data processing networks that govern intracellular and extracellular communication. It is intended for use in signal transduction courses for undergraduate and graduate students working in biology, biochemistry, bioinformatics, and pharmacology, as well as medical students. The text is organized by three key topics central to signal transduction: the protein network, its energy supply, and its evolution. It covers all important aspects of cell signaling, ranging from prokaryotic signal transduction to neuronal signaling, and also highlights the clinical aspects of cell signaling in health and disease. This new edition includes expanded coverage of prokaryotes, as well as content on new developments in systems biology, epigenetics, redox signaling, and small, non-coding RNA signaling.